Septic Maintenance – Ace Bobcat Ltd. Ace Bobcat & Septic Services offers septic maintenance services to residential, commercial, and industrial sites throughout Cowichan Valley and South Island. As you probably know, maintenance is required for all systems, regardless of age or type. Maintenance is also essential in preventing disastrous clogs, leaks, backups, and breakdowns, as well as saving you thousands of dollars over the cost of a repair or replacement. As a hands-on company, our certified maintenance team looks after all our own maintenance customers. This means we don’t outsource and always deliver the same, great quality. The maintenance technicians of Ace Bobcat & Septic Services are certified to perform maintenance, system improvements, and confined space entry for residential and commercial properties. 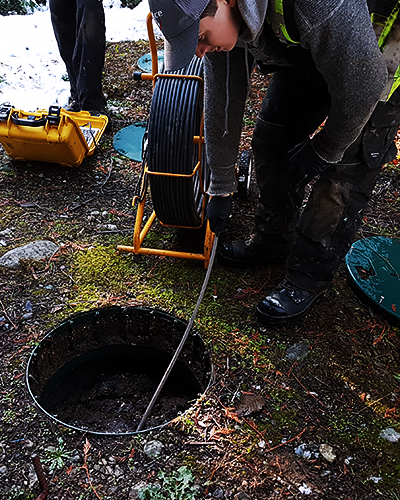 After performing maintenance, we will provide a detailed report explaining the work completed, what work will be required in the future, and what actions you can take to maintain a healthy septic system. We will also give you a copy of the report to submit to your regional district. This will be signed, stamped, and dated by one of our authorized maintenance technicians. Have an unregistered system? No problem. Not only will regular maintenance provide you with the peace of mind of a healthy system, after our first visit, we will create a maintenance plan that can be followed from that point on. We also maintain registered systems that already have a maintenance plan in place. Only certified maintenance providers, such as Ace Bobcat & Septic Services, can service sewerage systems. As required by the Sewerage System Regulation, we will follow the registered maintenance plan. Our maintenance contracts allow you to relax and not worry about your annual maintenance. Your maintenance technician will contact you prior to the maintenance. You will know when we will be attending your property and you will receive a written report within a few days of the inspection to give a detailed explanation of the condition of your system and any recommendations as well. To discuss your proposed septic site, contact Ace Bobcat today! You can expect great information and advice about your septic system’s plans.